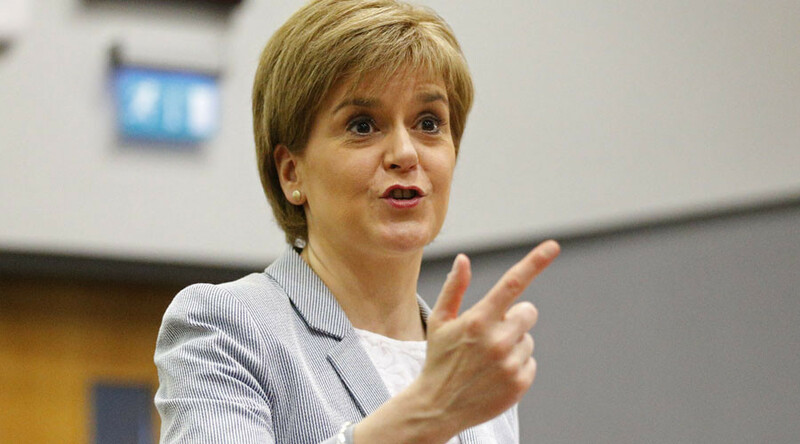 Scottish National Party (SNP) leader Nicola Sturgeon told British Prime Minister David Cameron he is “living on borrowed time,” and must speed up the process of devolution or face another independence vote on Scotland. Speaking in Edinburgh on the first anniversary of the Scottish independence referendum, Sturgeon said the country had “changed for good” since the historic vote. She said Westminster continues to “disrespect” Scotland’s wishes. Cameron responded to the comments, arguing it is “time to move on” for Scotland. But Sturgeon said it was “inevitable” the Scottish people would ask for a second referendum, after two recent polls suggested the majority of the population would now be in favor of independence. “So, my message to David Cameron today is the same as it was when I met him just after the general election. “What happens to support for independence in the months and years to come will depend as much on what you do as it will on what we do. “And, right now, you are living on borrowed time. “If you continue to ignore Scotland’s voice, if you continue to disrespect the choice that people across this country made in May, more and more people will conclude that Westminster simply can't deliver for Scotland,” Sturgeon said. However, in a speech in London, Cameron stood by the decision made last year. “Scotland’s majority spoke. More Scots voted to keep our kingdom united than have ever voted for any party in any election in Scottish history. “Alex Salmond, Nicola Sturgeon and I signed the Edinburgh Agreement which pledged we would all respect the outcome of last year’s momentous vote. “We all agreed – as do the Scottish public – that the independence referendum should be a ‘once-in-a-generation’ or a ‘once-in-a-lifetime’ event. So, now it is time to move on,” he said. The SNP’s support grew throughout the referendum campaign process, and despite the result of the referendum, the party swept up 56 of the region’s 59 seats in the general election. Their staunch opposition to many Tory policies, including the renewal of Britain’s Trident nuclear program and austerity economics, has seen friction between the two parties escalate. The SNP have called for further devolved powers to be accelerated. “A year ago today, this country changed,” Sturgeon said.